DURING the past week, the media has been awash with reports of price hikes of goods and some commodities running out on the market. 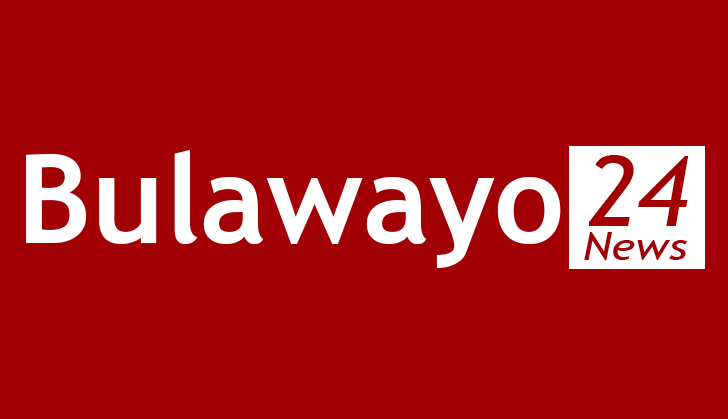 Products ranging from cement to chickens and other basic commodities dominated the alarm, with one of the fast foods outlets in Bulawayo said to have closed earlier than normal on Monday because of the challenge of the raw materials - chicken that is. The supply of fuel has also been reported to be erratic, especially in smaller towns across the country, forcing the central bank to make a statement assuring the nation that there is no need to panic. Like blood being the "life" in a living body, liquidity is the "life" in the body economy. Something has to be done and now. Those of us who understand real economics, the same economics and its principles that drives the success of the neighbouring countries' economies in the region and other economies elsewhere. Zambia for example went through an economic meltdown, though of lesser proportions than ours that culminated in the hyperinflation of 2008. In an effort to reverse the hyperinflation trend, we had to abandon our currency and adopted the multi-currency regime. Unfortunately, we have failed to manage the multi-currency regime largely as a result of the structural challenges that are inherent and embedded in the use of other countries currencies. The major structural challenge being the loss of monetary policy sovereignty by our central bank. What it meant was that our central bank could not engage in seigniorage, that is, the physical printing of the bank notes for the immediate financial benefit by the Government and for the general supply of money into the economy to meet the productive demand for goods and services. In order to overcome these structural problems the country was supposed to enhance its capacity to earn these multi-currencies as foreign currency through export revenue earnings from the primary and secondary industries. Unfortunately, the secondary industry did not get back to its expected feet. That is, to resuscitate the industry and get the production machinery running in full capacity to meet the domestic production demand for goods. As the industry continued to die and the informal sector ballooning, the country faces fiscal balance challenges that have resulted in the perennial budget deficit that the Government has attempted to manage through domestic borrowing, increasing the debt burden. That would have helped to reduce the import bill to sustainable levels. On the other hand, the primary industry's capacity to earn the country all the needed foreign currency is affected by its own challenges that range from capacity to extract the mineral resources that the country is endowed with, drought and the fluctuation of the commodity prices in the international market. These challenges are hampering the capacity of the primary industry to earn the country the needed foreign currency. In essence, there has been a lack of balance or equilibrium between the inflows and the outflows of these multi-currencies. When Zimbabwe adopted the multi-currencies in 2009 the reserves of these currencies, especially the US dollar were quite substantial. The demand for the foreign currency to finance the unsustainable import bill coupled with externalisation and other forms of illicit dealings has drained the reserves, causing the crippling liquidity crisis. The economy now requires huge financial injection in order to ease the crippling liquidity crisis. In my opinion, the liquidity crisis is pushing a lot of pressure on the economy's dwindling capacity to meet the domestics demand for imports and the sustainability of the current marginal industrial production capacity and the sustainability of the bloated Government expenditure, coupled with the general pricing distortion that has existed right from the time the country adopted the multi-currencies. As the liquidity crisis continues to bite, the central bank has tightened the screws in an attempt to manage the liquidity, and in the process, the productive sector has been complaining that it is not afforded enough foreign currency priority allocation further curtailing its production capacity. Most of the companies need foreign currency to import raw materials that are not readily available in the domestic market. The fact of the matter is that the central bank is finding it difficult to manage and allocate the little foreign currency reserves that the country's economy is able to generate in the current capacity. A combination of these problems and challenges is pushing the prices of goods up and beginning to cause shortages of some basic commodities and goods. It is not a common secret that the success in attracting the financial bailout that the country needs right now in order to ease the crippling liquidity crisis hinges on meaningful effort and progress towards transforming the investment climate and the macro-economic environment. In conclusion, with the adequate injection of liquidity in the economy, in my opinion, the prevailing price hikes and shortages of the goods that are beginning to surface will be outdated. Then the country will need to move on, continue in political economic transformation and find its position and place in the international fraternity.